During Portia’s major speech in court, Niyabinghi drumming beat softly, quickening or slowing as she said, "The quality of mercy is not strain'd, It droppeth as the gentle rain from heaven Upon the place beneath: it is twice blest; It blesseth him that gives and him that takes." The heartbeat drumming stops when the Bobo Dread Shylock, raises his knife to extract his pound of flesh from businessman Antonio who failed to make good as guarantor, after his friend Bassiano could not repay his business loan. This was to be sweet revenge for Shylock, because Antonio was a high society socialite who used to berate the Rastaman. 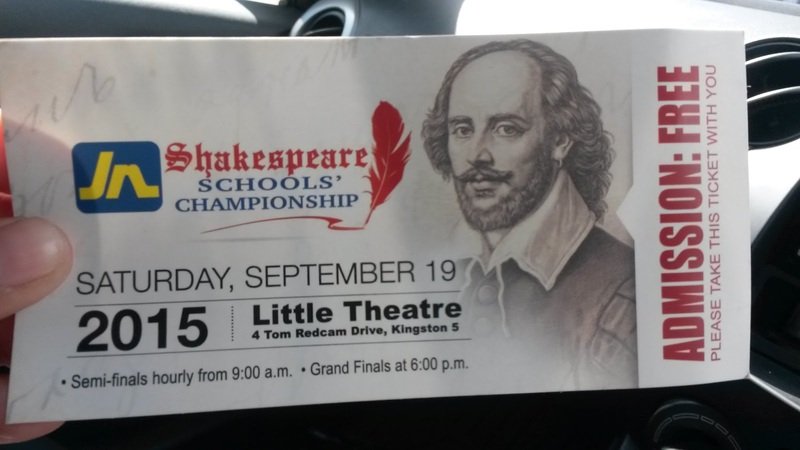 This staging of The Merchant Of Venice by the St Hugh’s High School and Kingston College theatre group at the finals of the JN Shakespeare Schools' Championship held on September 19 at the Little Theatre in Kingston, Jamaica earned them the runner-up position. 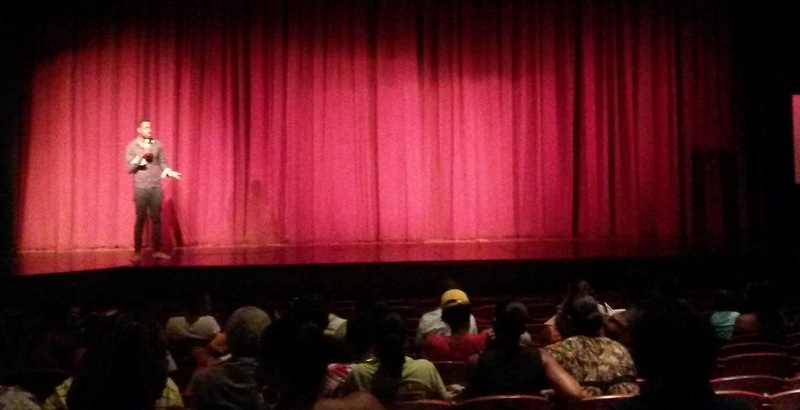 Some theatre goers touted the production as a "fantastic" school production which "should have been the one to represent Jamaica" but the entry lost valuable points as it was longer than the stipulated 30-minute duration. The competition was won by Campion College troupe which, under the direction of Damion Radcliffe, staged a tough, gun-slinging, inner-city adaptation of Macbeth. The three witches are modern-day hairdressers who are a natural oracle, and a storehouse of the vibes of a community. 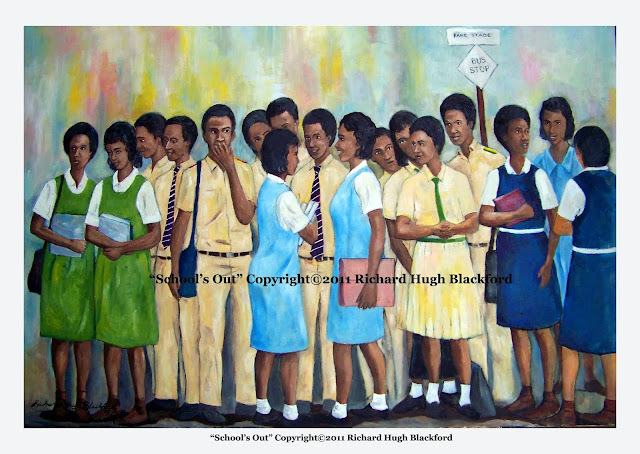 That production will represent Jamaica in London during the March 2016, activities to commemorate the 400th anniversary of the death of William Shakespeare. Directed by theatre practitioner Akeem Mignott, the St Hugh’s/KC group used the Kingston Harbour business area as its “Venice”, as the competition guidelines directed the productions to use local settings. Mignott guided the group to do just that as they infused Jamaican cultural expressions including reggae, dancehall, Junkunu, Rastafari and the Kingston Harbour merchant culture into the production. Shylock was a wealthy moneylending Bubbo Dread whose business was Shylock’s Broom Enterprise and Small Business Loans, so every reference to “Jew” was replaced by “Rasta”. This certainly can give pause to thinking about the unfairness of racial profiling. Suitors for the hand of Portia had to enter the Miss Jamaica Hand In Marriage Casket Competition, and her choice of husband, Bassiano, won. The language throughout the play was William Shakespeare’s, but the accents were Jamaican. Portia's Jamaican accent as the lady of the house was different from her maid Nerissa’s Jamaican accent. 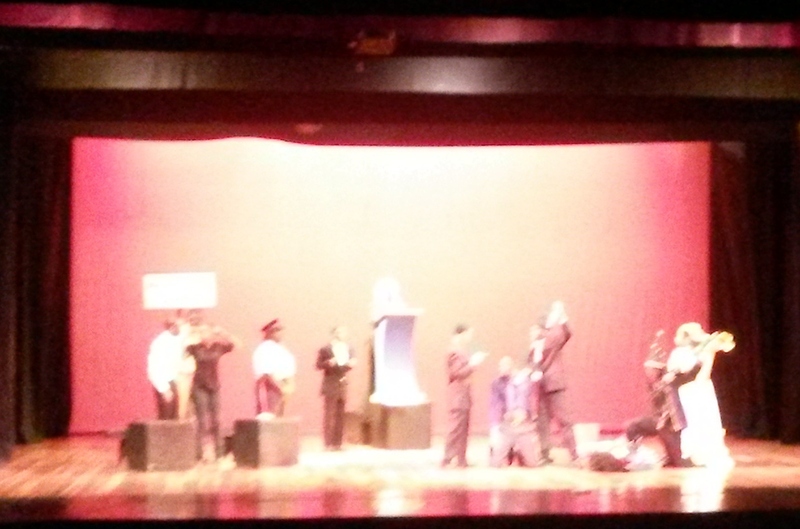 The use of Jamaican culture was superb. The first act used a colourful Junkunnu parade with music dating to the 1800s, and traditional masquerade characters of Set Girl, Pitchy Patchy and Devil to highlight important aspects of Shylock’s schemes and wishes. The audience was thrilled at several points during the show. After Portia's brilliant deception as the Doctor of the Law who saved her husband Bassiano, and his friend Antonio from ruin, the happy group took a selfie to celebrate their legal victory, and this had the audience in stitches. 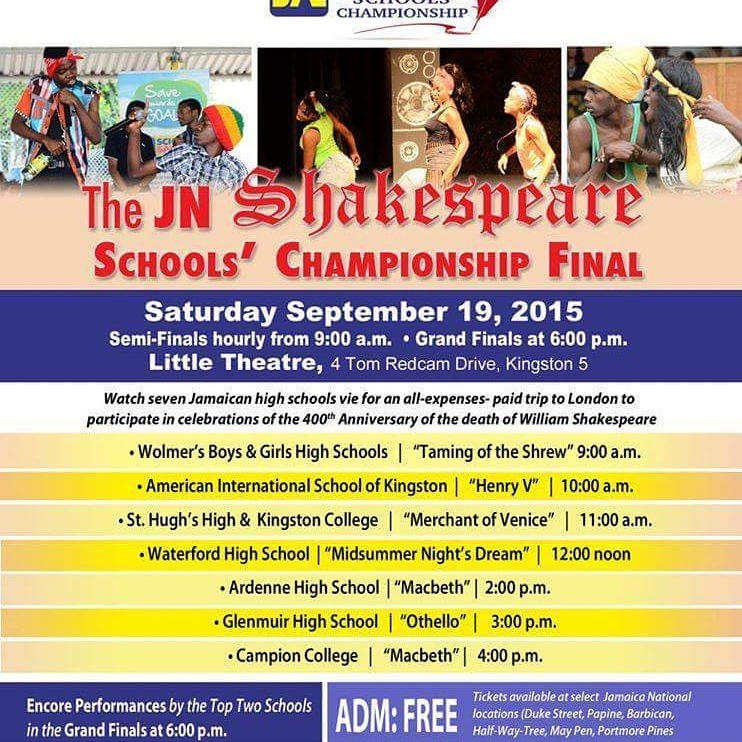 A total of 17 schools staged productions for the championships; the five others that made the finals were: Wolmers (Taming of the Shrew); American International School of Kingston (Henry V); Waterford High (Midsummer Night’s Dream); Glenmuir (Othello); Ardenne (Macbeth). The championships were sponsored by financial conglomerate Jamaica National Building Society Foundation, and education advocate in the city of London, Dr Tony Sewell, through his UK charity, Generating Genius. 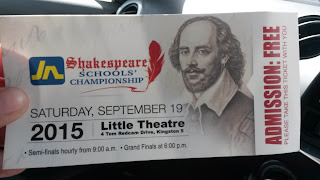 Dr Sewell noted that the longstanding culture of keen school competitions in Jamaica provided a great platform for a Shakespeare championships. Here is the Tallawah Ezine coverage of the finals.